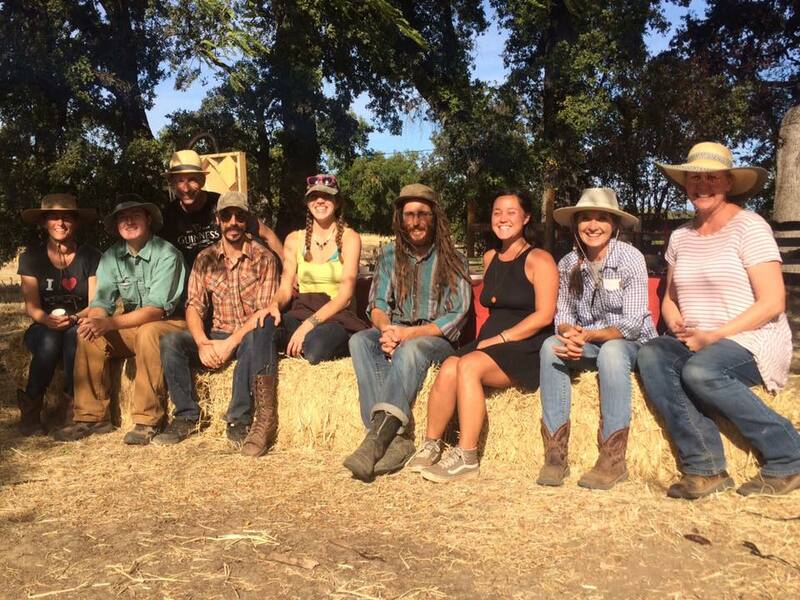 At Red Gate Ranch we enjoy sharing our passion for nourishing food, healthy living, and regenerative farming. Join our newsletter list or watch for our seasonal ranch letters on social media to stay informed of upcoming events! 30 minute CSA Garden Tours are available for prospective members FREE of charge! Farm & Garden Consultations are available for $60 per hour (up to three individuals) for those who are interested in learning about farming or market gardening. Contact us via email at redgateranchrb@gmail.com to schedule. Please let us know about yourself and your interests as well a how many people in your party. We had an incredible turn out at our March 31st Garden Tour. We are grateful for the amazing support and the numerous kind words that were shared with us during this event. We look forward to sharing our continued growth and development with our community! This Organic Seed Alliance Workshop & Field Day was led by Elliott Proffitt in September 2017. Elliott is pictured here with his students from the day. This Field to Fork Dinner was held at Bianchi Orchards on September 10th, 2017! Our pork shoulder, ground pork, and herbs from the garden were featured along with many other ingredients from within Tehama County! Stay tuned for more dinners like this put on by the local Tehama Together and Community Food Alliance organizations. Click here for Facebook page with more details! Our Spring Fling 2017 was a beautiful day filled with more great food, fun for the entire family, an informative and inspiring edible weed walk with Wolfgang Rougle, as well as a tour of Red Gate Ranch led by Kraig, Heather, and Audrey. Here are some pictures from the day! November's Meat N Greet 2016 was a great day! Check back for pictures of this fun and delicious event! Our Spring Fling 2016 turned out to be a beautiful day filled with great food and family fun. Guests were able to experience an informative and inspiring edible weed walk with Wolfgang Rougle as well as ranch and garden tours led by Kraig, Heather, and Audrey. We hope you will join us next year for more! Thank you again to to Dennis & Jann Holden of Purple Sage Sound & Touch Therapy for another wonderful afternoon of drumming and sound healing. We set up in the barn this time around which proved to be a cozy and comfortable place to feel the good vibes. Click here for more information about Jann and her services which can be performed at her lovely office in Red Bluff or via distant sessions. Thank you to everyone who made it out for our 2nd Annual Meat N' Greet ranch tour and tasting which was held on November 14th. We expected a crowd of fifty and were thrilled to welcome over seventy people to the ranch for a tour with Kraig Austin and tasting of our meats prepared by Fork & Spoon Catering. We are grateful for the support we receive from fellow farmers and our community. Congratulations to our raffle winners who received a holiday ham and a leg of lamb! Thank you to Dennis & Jann Holden of Purple Sage Sound & Touch Therapy for a memorable afternoon of healing drumming. Click here for more information about Jann and her services which can be performed at her lovely office in Red Bluff or via distant sessions. We were the featured farmer at the May 2015 food and beverage tasting put together by the COOK store in downtown Red Bluff.